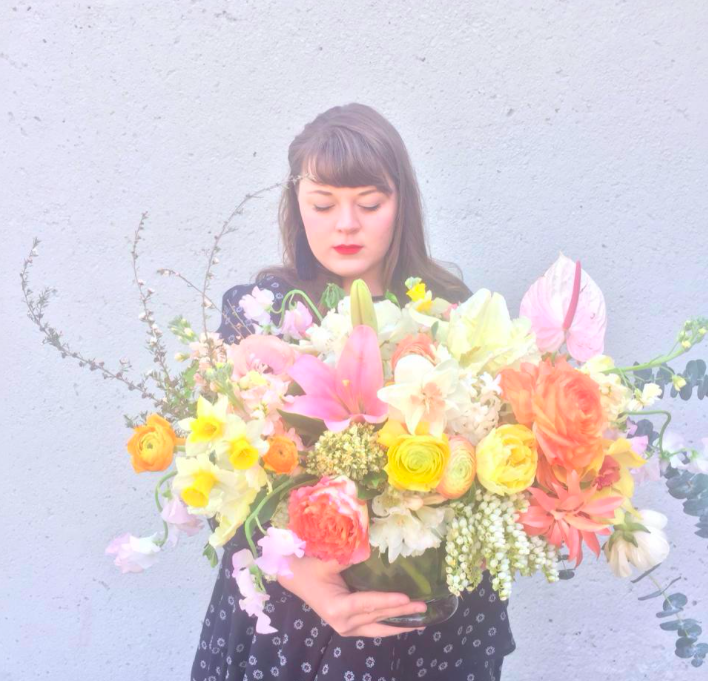 Meadow & Vine is a fine art florist offering unconventionally elegant florals for the everyday, weddings, events, and editorials. Our boutique retail space is located within the Avenida Food Hall & Fresh Market, open Thursday-Sunday from 11:00AM to 8:00PM. In store, we offer fresh flowers by the stem, ready-made bouquets, custom arrangements, and a beautifully curated selection of vases & giftware. We also accept phone and online orders for delivery or pick-up any day of the week. Owner and designer Caitlyn Molstad has spent her years in the floral industry working to refine her unique design perspective and heightened sense of colour into a distinguished craft. A creative at heart, Caitlyn studied Art History and Visual Studies in post-secondary, where she developed a deep understanding of colour, texture, movement, and composition. Her passion for design led her to begin training as a florist, where she fell in love with the art of flowers. Since then, Caitlyn has been devoted to mastering the trade through formal learning and apprenticeships, and worked as the full-time designer at one of Calgary’s oldest and most distinguished flower shops. Caitlyn is inspired by the romantic shapes and spontaneous movement that nature provides in each unique flower. Her design style is influenced by her love of fine art and an innate understanding of colours and seasonal textures. Her designs aim to showcase the unique beauty of each flower used. Committed to sourcing a stunning selection of flowers that is as unique as it is ethical, Meadow & Vine purchases from mainly Canadian Growers and wholesalers. This practice reduces our carbon footprint, invests in our local economy, and guarantees the freshest product possible. We also believe in educating our customers every step of the way. This includes transparency about where the flowers come from, teaching how to recognize quality and freshness, and providing detailed care instructions to increase longevity. Meadow & Vine was born out of a love of flowers, design, and a passion for connecting with people. Caitlyn loves to work with each individual client to create something special and unique for them. She treasures the privilege that comes with creating beautiful arrangements that honour people’s most intimate life moments, milestones, and celebrations.